That was the running commentary on the Netflix series Stranger Things from a viewer in Poland, aghast while watching the show dubbed in the national language. The viewer’s discomfort reveals a lot about the cultural differences and idiosyncrasies the streaming-video giant has discovered on its way to conquering the world. In much of the world, voice-over actors translate English-language TV shows and films into the local tongue by reciting, and reenacting, the original dialogue. Netflix attempted that with Stranger Things—but it turned out to be a non-starter for TV audiences in Poland. They’re accustomed to hearing a single actor, usually a man, read all of the dialogue in monotone voice, while the original audio plays in the background. It’s known as lektoring (paywall). After hearing viewers’ strong reactions to the voice-overs, and conducting a broader survey in Poland, Netflix made lektoring the default for Polish audio in foreign-language content there. 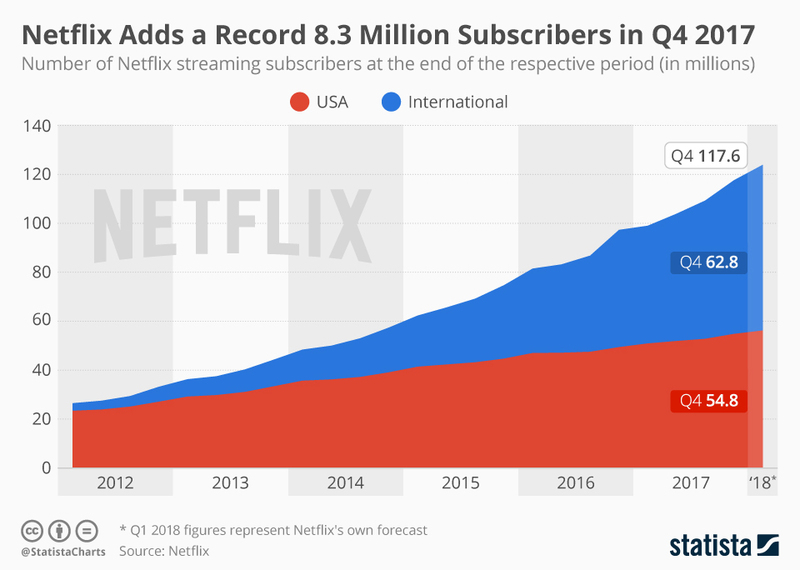 Netflix expanded to most of the world in 2016. With that move comes the challenge of making its programming—in which Netflix will invest $8 billion this year—work for a global audience. Based in the US, Netflix initially featured primarily English-language movies and TV shows. Now it produces and acquires programming from all over the world, in languages from French to Turkish to Portuguese. It also translates its original TV shows and movies into more than 20 different languages, through dubbing, subtitling, and, in some cases, lektoring. The company’s consumer insights team interviews thousands of people per year, it said, and conducts consumer surveys around the world to get it right. When testing Stranger Things in Thailand, for example, it learned from research using eye-tracking that the subtitles for Dungeons & Dragons weren’t making sense to viewers. One viewer switched from Thai to English subtitles partway through, because they couldn’t understand the Thai translation. The translators had to become more thoughtful about how to approached certain terms in the Thai language. Netflix also found that Americans, who are used to watching shows in English, were twice as likely to say they preferred subtitles versus dubbing. Understanding these local preferences is even more crucial now that international streamers make up more than half of its member base.